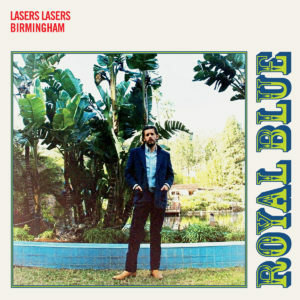 Helmed by singer-songwriter Alex Owen, the oddly named Lasers Lasers Birmingham are a country influenced band residing in Los Angeles. Their first EP – released in 2004 – wasn’t so much a band work but an outlet for Owen who played and sang almost everything. This second EP finds the man himself with a full band in tow and the resultant four tracks certainly make the best from the talents of all concerned. The title track leads the way with a very traditional sounding country shuffle, as a slow beat dictates a “crying in your beer” style workout. If you like older style country music, there’s much to love here from the outset, but there’s also a warmth to the recording and performance that occasionally suggests that Owen might not always play his country sounds as straight down the line. The maudlin arrangement – peppered with a Garth Hudson inspired organ sound and a full compliment of steel guitars – ambles pleasantly enough, but upon reaching the chorus it delivers a hook that’s rather fine. Over the brilliantly established sounds paying homage to the past, Owen – possibly with tongue in cheek – croons about seeing life through a blue “monochrome filter that [he’s] not used to” and how these days he’s “not inspired to smile”, almost as if he’s taking some clichéd country pre-conceptions and hitting them for a home run in the post-modern stakes. A few listens unveils more enjoyment than first appears; that’s partly down to Owens’s overall enthusiasm for the style, but mostly for his hired help, since the band on this track really come across as consummate professionals. ‘Hard Man To Please’ switches the tempo completely but never loses sight of it’s old heart, presenting an upbeat country workout that sits somewhere between Johnny Cash and the more frivolous side of the youthful Nanci Griffith. Naturally, John Schreffler, Jr’s pedal steel goes into overdrive, the rest of the band follows suit and in a few short minutes, the once reflective sounds of the opening track get all but forgotten as we’re taken hold by a gen-u-ine hoedown . It’s the EP’s most disposable tune by default but, again, in terms of style, it’s perfectly executed; Owens sounds like he’s having fun and if this kind of square dancin’, truck drivin’, cattle rustlin’ uptempo stuff is your bag, it’s likely you’ll be more than happy to be dragged along for the ride. It’s great how each of these tracks manages to tackle country music from a different angle. It shows Alex Owen to be a very well-rounded talent as well as a gifted songwriter and lyricist. It also demonstrates a love for the old ways as well as a desire to pull in new ears – and in ‘Shedd Aquarium’, there’s even a slice of pure perfection. With so much ground covered, if you have half an interest in roots music or Americana, it’s almost impossible not to find something to like. ‘Royal Blue’ is one of 2016’s most welcome surprises. This entry was posted in Album & EP Reviews and tagged americana, country, lasers lasers birmingham, stream by Real Gone. Bookmark the permalink.